W.W. Norton & Company, 1965 Near fine in a near fine dust jacket. First Edition stated on the copyright page. Author's first book. A nice, crisp copy. Slight foxing along the top and fore-edges. 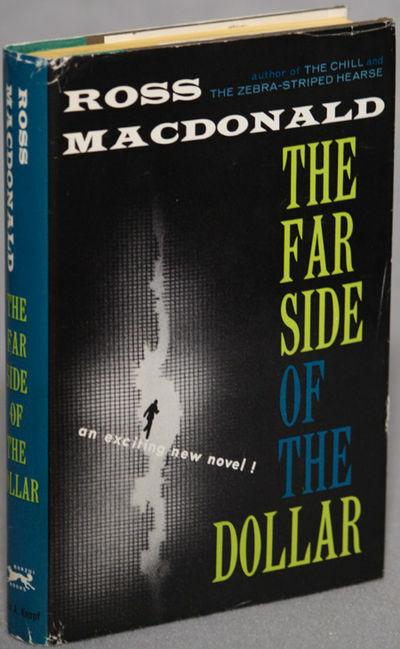 Dust jacket has original price of $4.50 printed on the front flap. Slight foxing on paste-downs and end papers; near fine.. 1st Edition. Hardcover. Near Fine/Near Fine. Fotografie in bianco e nero di Luciano D'Alessandro. Presentazione di Sergio Piro. Grafica di Michele Ketoff. 4to. pp. 120. . Ottimo (Fine). . Prima edizione (First edition). . Nel 1965 D'Alessandro incontra Sergio Piro, direttore del manicomio di Materdomini (Nocera Superiore), docente di psichiatria ed uno dei protagonisti di quello che diventerà il movimento di psichiatria democratica. Piro apre le porte a D'Alessandro che lavora per tre anni alla scoperta della realtà allucinata dell'istituzione totale. A seguito di questa esperienza Piro avviò una comunità terapeutica aperta e nel 1969 fu licenziato sulla scorta dell'aperta denuncia delle immagini prodotte da D'Alessandro. Sempre nello stesso anno il coraggioso Lanfranco Colombo pubblicherà le immagini nelle edizioni de Il Diaframma. Gli esclusi è il primo documento che esce a sostegno della contestazione manicomiale, svelando con immagini fortissime la solitudine del malato mentale e la violenza dell'istituzione. London: W.H. Allen, 1965. First British edition. Octavo, original cloth. 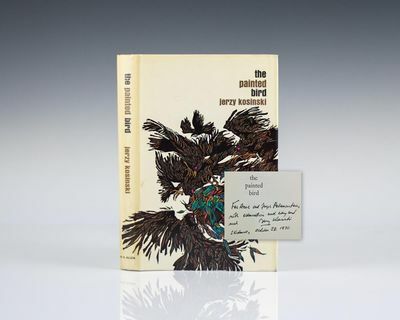 Inscribed by the author to the president of Skidmore College:"For Anne and Joseph Palamountin, with admiration and every best wish Jerzy Kosinski Skidmore, October 28, 1970." 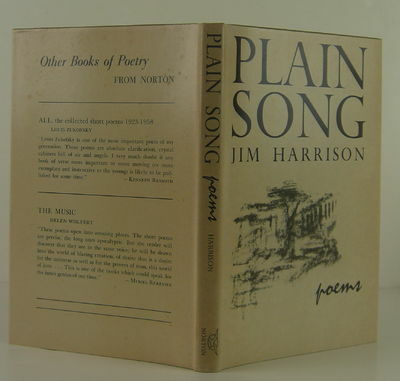 Fine in a near fine dust jacket that has a closed tear to the rear panel. The Painted Bird established Jerzy Kosinski as a major literary figure. Kosinski's story follows a dark-haired, olive-skinned boy, abandoned by his parents during World War II, as he wanders alone from one village to another, sometimes hounded and tortured, only rarely sheltered and cared for. Through the juxtaposition of adolescence and the most brutal of adult experiences, Kosinski sums up a Bosch-like world of harrowing excess where senseless violence and untempered hatred are the norm. Through sparse prose and vivid imagery, Kosinski's novel is a story of mythic proportion, even more relevant to today's society than it was upon its original publication. "A powerful blow on the mind because it is so carefully kept within the margins of probability and fact" (Arthur Miller). Storia - Medioevo " Titolo: ANTIQUITATES ITALICAE MEDII AEVI (Ristampa anastatica della Forni Editore del 1965 in 200 esemplari numerati) Autore: MURATORI LODOVICO ANTONIO med 94 Editore: Tip. Societatis Palatinae in Regia Curia Anno di stampa: 1739 40502 MURATORI LODOVICO ANTONIO med 94 ANTIQUITATES ITALICAE MEDII AEVI (Ristampa anastatica della Forni Editore del 1965 in 200 esemplari numerati) ""organize the material from within"", this monumental work reveals the civilization of the early and late middle ages in Italy through thousands of skilfully and discriminatingly selected documents. Religious and popular history, juridical institutions, the cultural and linguistic patrimony, social customs and the economy - in his study of these subjects the author moves from ""philological verification. towards a historical assessment of the structures of that society Mediolani, Tip. Societatis Palatinae in Regia Curia, 1739. Opera in sei volumi di pp. 3747 In-4 tela (Mediolani, 1738-42). Divise in 75 dissertazioni che ""organizzano ab intra la materia"", le Antiquitates affrontano la civilta' dell`alto e basso Medioevo in Italia sulla scorta di migliaia di documenti prodotti con illuminata perizia. Storia religiosa e popolare, istituti giuridici, patrimonio culturale e linguistico, costume ed economia, sono studiati muovendo ""dall`accertamento filologico. a una valutazione storicistica delle strutture di quella societa"" (F. Forti). Divided into 75 dissertations that ""organize the material from within"", this monumental work reveals the civilization of the early and late middle ages in Italy through thousands of skilfully and discriminatingly selected documents. 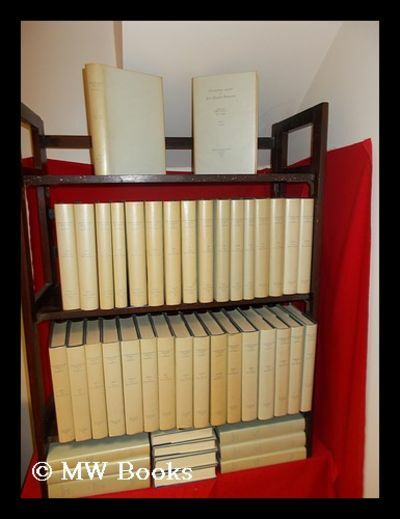 Religious and popular history, juridical institutions, the cultural and linguistic patrimony, social customs and the economy - in his study of these subjects the author moves from ""philological verification. towards a historical assessment of the structures of that society "" (F. Forti). ? 700 "
Martin Luther King, Jr. Signed Bank Identification Card. Atlanta, 1965. Martin Luther King, Jr. signed Mitchell Street Bank Identification card. The card measures 4 inches by 6 inches, boldly signed by King on the top right, his business address filled out. Double matted and framed with a photograph. The entire piece measures 14 inches by 17 inches. Rare. A typical bank identification card, recorded on 24 September, 1965, with an opening balance of $500.00. 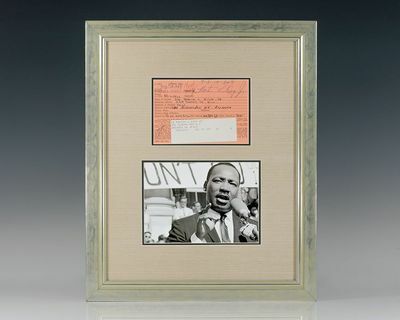 The name on the card is given as "Dr. Martin Luther King Jr." King gave as his "business address" 334 Auburn Ave, N.E. Atlanta. 334 Auburn Avenue was originally the address of the old Prince Hall Masonic Temple. During the Montgomery Bus Boycott, the building was used as a meeting place for the Montgomery Improvement Association, led by King, its first president. As boycotts spread across the South, it became the national headquarters of the Southern Christian Leadership Council. It is now a part of the National Register of Historic Places. Fluxus Vaudeville TouRnamEnt. 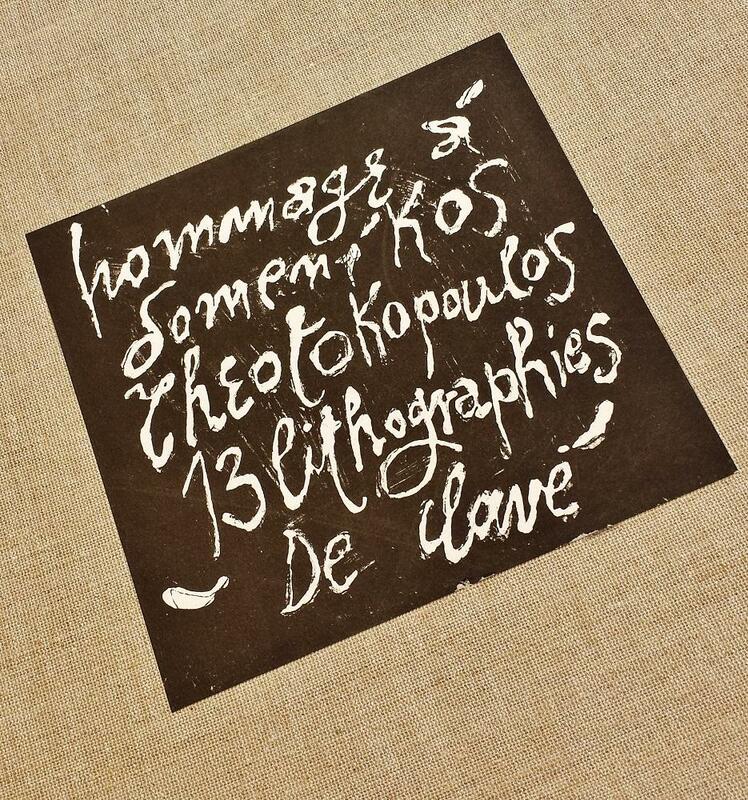 Fluxus No. 6. July, 1964. Edited by George Maciunas., New York. 1965 - The sixth issue of the Fluxus newspaper. ÒÔFluxus Vaudeville TouRnamEnt,ÕÓ published in New York, July 1965, was by now entirely edited by George Maciunas, anonymously. 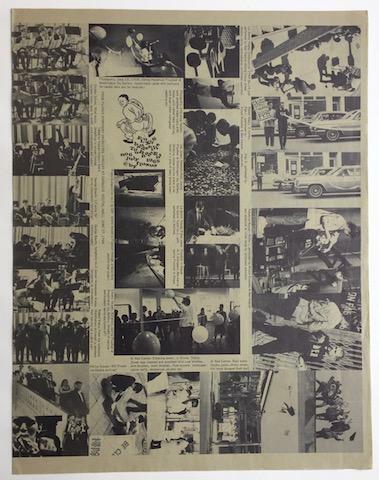 A propaganda vehicle for Fluxus performance, it contains many photographs of past events and two posters for events later that year. The posters promote ÒPerpetual Fluxfest at New CinemathequeÓ (Sept.-Dec. 1965) and ÒFlux Orchestra at Carnegie Recital HallÓ (September 25, 1965). [Ref. Fluxus Codex, p. 97; Fluxus etc. The Gilbert and Lila Silverman Collection, no. 561]. Tabloid folio. Single sheet, folded as issued. Printed in black on tan stock. Philadelphia and New York: Chilton Books, . First edition. Some light age darkening along cloth edges, some spotting to cut edges, a nearly fine copy in a nearly fine dust jacket, light rubbing to edges and corners, some color fade to spine panel. (10395). Octavo, cloth. Hugo Award winner 1966 and Nebula Award winner 1965 for best novel. Made into a feature film directed by David Lynch, filmed again as a SciFi Channel mini-series. Anatomy of Wonder (1995) 4-207. Pringle: Science Fiction: The 100 Best Books #48. Love, kisses, smooches, slobbers, blubbers, / weeping / Ron / November 1967." A warm and significant association. Padgett (b. 1942) introduced Schneeman to the New York scene when Schneeman and his family moved to the city from Italy in the 1960s. 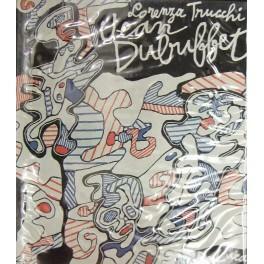 Schneeman (1934-2009) regularly collaborated with poets and writers of the New York School, illustrating their books, magazines and broadsides. 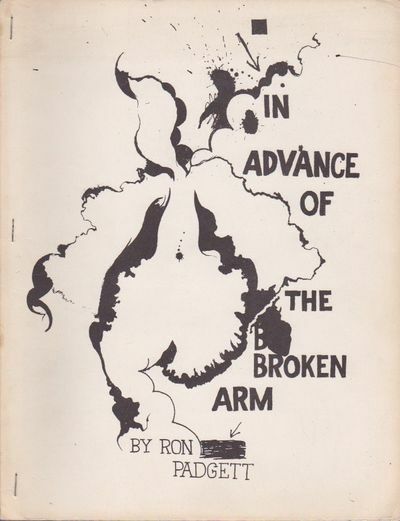 "In Advance of the Broken Arm" is Padgett's debut collection of poems, published by Ted Berrigan's C Press. 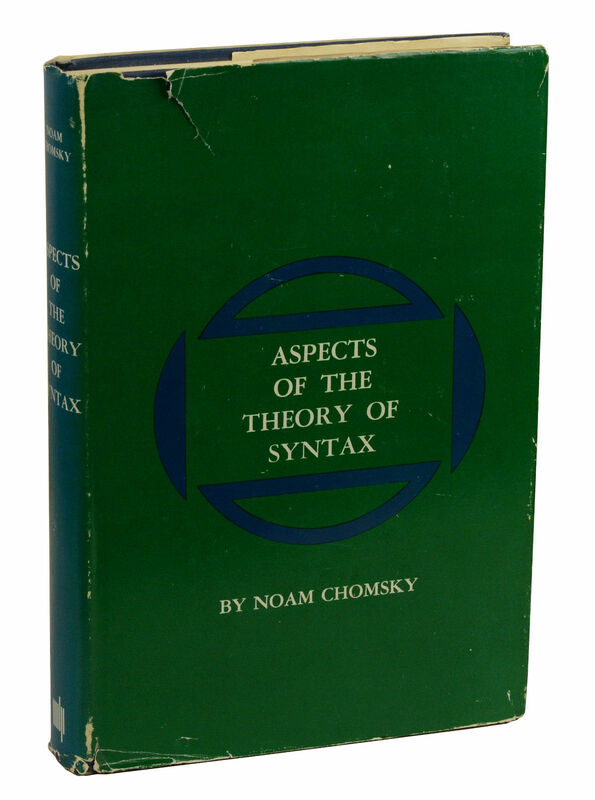 This copy is the second edition (after the 1964 edition), one of 200 numbered copies, this being #140. 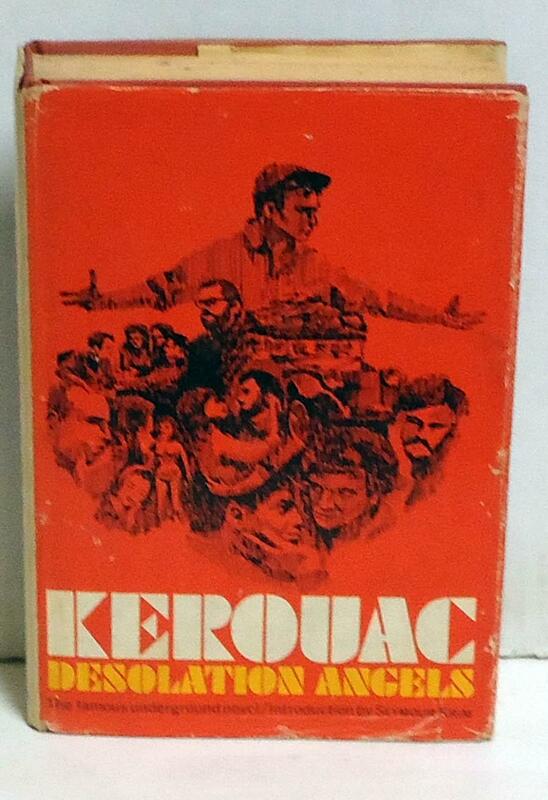 Edited by Ted Berrigan, cover and drawings by Joe Brainard. 4to (11 x 8 1/2 inches / 280 x 216 mm),  mimeographed pages, in side-stapled wrappers. Light edge wear, toning and soiling to the covers, else bright and sound. A Very Good or better copy, representing a collaboration by some of the leading members of the New York School. A particularly important association between Padgett and Schneeman, who were close friends. 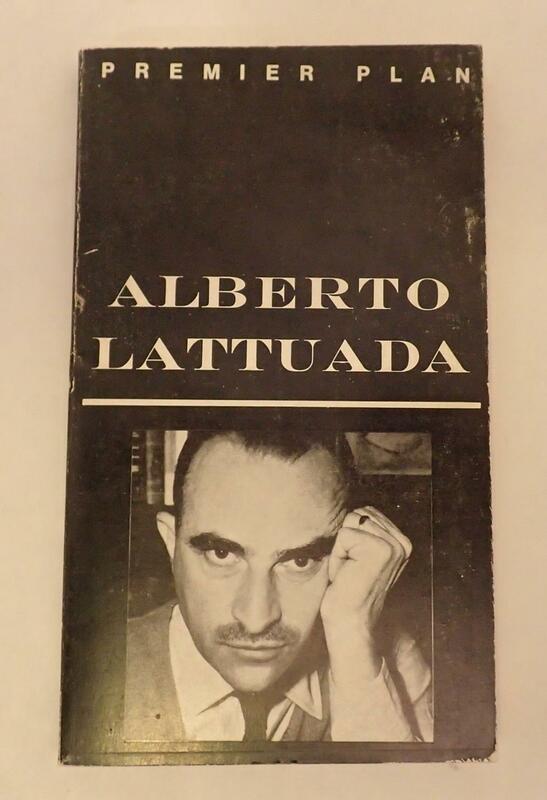 New York: Alfred A. Knopf, 1965. First edition. 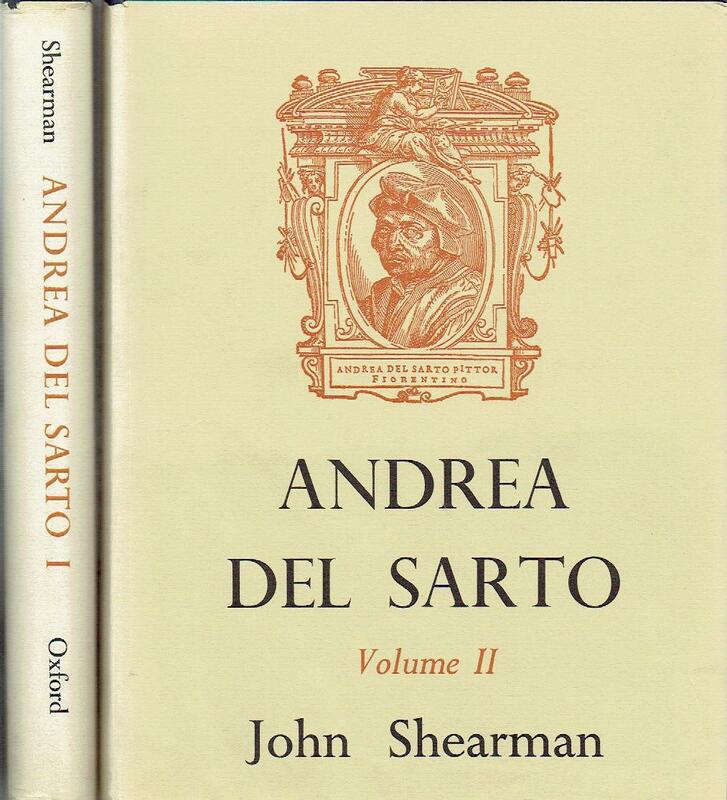 Corners very gently bumped, lower right front corner is nicked, a nearly fine copy in a very good plus dust jacket with some light rubbing to front flap fold and mild shelf wear. (13439). Octavo, cloth backed boards. A Lew Archer novel. Signed presentation copy to noted Canadian author and educator Marshall McCluhan and his wife Corinne. "For Marshall and Corinne, admiringly and missingly, Ken." Dated January, 1965, Santa Barbara. Marshall McLuhan spent time guest teaching in Santa Barbara where he and Millar met and became lifelong friends. "...exposes the heartbreak of those who come to California expecting the answers to their dreams..." - Pronzini and Muller, 1001 Midnights, The Aficionado's Guide to Mystery and Detective Fiction, pp. 528. Pederson (ed. ), St. James Guide to Crime and Mystery Writers, (4th ed. ), pp. 676-678. INSCRIBED first edition. 1965 stated on title and copyright page. Inscribed by author on half-title page to his wife. Book near fine, some discoloration on spine, slight rubbing along board ends. Dust jacket very good, some minor rubbing, some soiling on inside of dj at spine. We will provide a certificate of authenticity. Chappaqua, New York: Analysis Press, 1965. Frist Edition. Hard Cover. Near Fine binding. "Market Inclinations ... Help Prediction ... Produce Profits". The Signed and Limited First Edition of Arthur Merrill's landmark book on studying market statistics and timing the market accordingly. "The market will be found be found to behave with the characteristics of a warped roulette wheel". This is #413 of six hundred numbered, autographed and hand-bound copies. Near Fine binding. Sala Gaspar, Barcelone 1965 - In Plano, sous étui de toile beige., Suite de 13 lithographies en couleurs numérotées et signées de Antoni Clavé. Tirage limité à 41 exemplaires, celui-ci un des 30 sur Rives. Un des livres les plus rares de Antoni Clavé, ou ce maitre de la peinture espagnole illustre toute son admiration pour Le Gréco. H.R.M. Queen Elizabeth II. in Deutschland 18.-28. Mai 1965. Photoalbum. Ldreinbd. in Kassette. 4. Mit zusammen 81 eingeklebten, farb. Originalfotographien, tls. ganzs. -Kassette etw. beschädigt. Zeigt die versch. Stationen, Besuche, Empfänge etc. in Deutschland. Selten. Philadelphia and New York: Chilton Books, . First edition. A fine copy in a fine dust jacket. A sharp copy. (17097). Octavo, cloth. 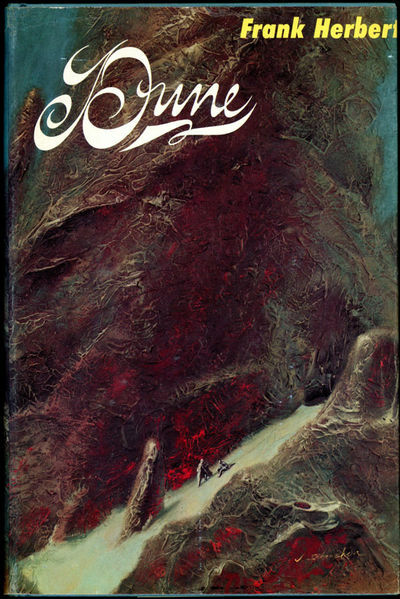 First novel in the Dune series. 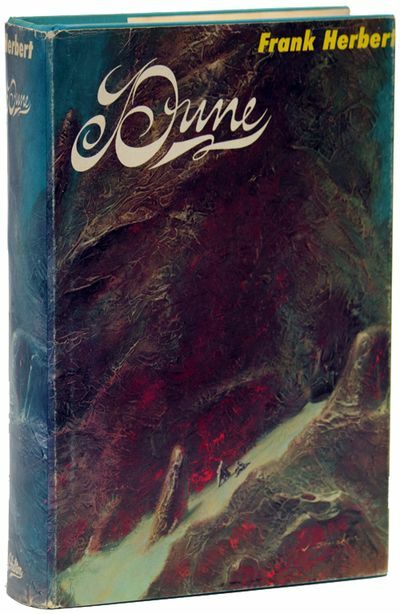 Winner of the 1965 Nebula and 1966 Hugo awards for best novel. Anatomy of Wonder (2004) II-524. Pringle, Science Fiction: The 100 Best Books 48. Survey of Science Fiction Literature II, pp. 647-58. Angels Camp, California: 1965. Original poster for the event at the Calaveras County Fair. 35.25 x 22 inches. 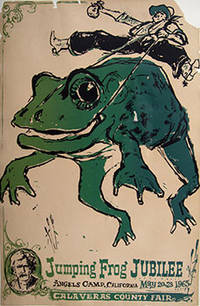 Color lithograph mounted on linen.Piece missing form upper right corner, not affecting the image. London: John Long, 1965. 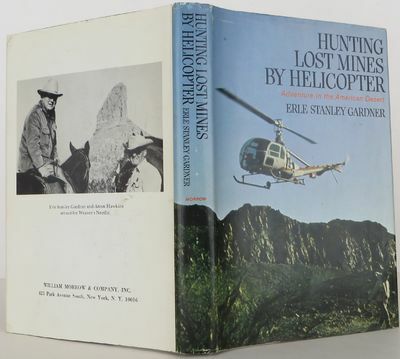 First Edition 1st Printing. Hardcover. Good/Fine. Dust Jacket is excellent with just slight wear and bumping at end of spine. Binding is a little loose with slight lean. Very faint signs of some sort of stamp on the title page - but indecipherable. "To Eisie with great esteem & gratitude for the cheerful view, Hedley Donovan"
JUST BELOW: "Its a grand honor to be with Eisie again-Henry R. Luce. Jan 26, 1965." Johns writes to actress Ruth Ford using red felt tip pen on the address side of the card as well as the message side. He draws a wavy line down the center as if to cover the vertical type separating the two sides. "Dear Ruth, I've just got back into the city & find things a bit confused - I may be moving into a new place this [month crossed out] week. I'll call you about 'the Beard' next week. I would love to take you to see it if my housing problem is not completely out of hand by then. I hope it will not be but I try to learn to be like Mayor Lindsay, 'Neither optimistic - nor pessimistic.' As ever, Jasper." The post card was mailed in an envelope addressed to Ford by Johns in the same red ink. John Lindsay was Mayor of New York at the time. Ruth Ford was a Broadway actress, married to Zachary Scott until his death in 1965. She then lived in The Dakota, in Manhattan, with her brother, Charles Henri Ford. 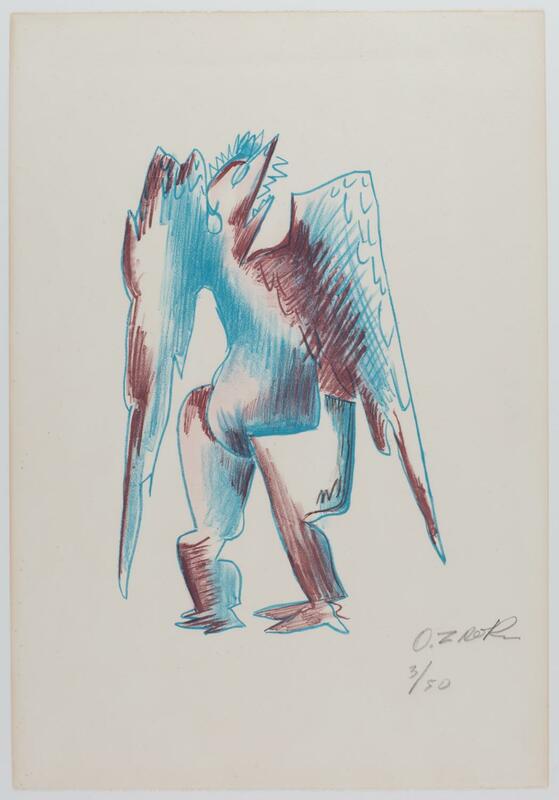 Charles was a poet and photographer, known as America's first Surrealist poet. He was the editor of "View" magazine. Charles was a friend of Andy Warhol. Michael McClure, the beat poet who wrote the play Johns mentions, "The Beard," was also a friend of Warhol's. The circle of beat poets, American Surrealists, and Pop artists in the 1950s and '60s arts scene in New York included all of these people as well as Robert Rauschenberg and his partner, Jasper Johns. Michael McClure's play, "The Beard," first opened at the Actor's Workshop Theater in San Francisco, December 18, 1965 and was regarded as highly controversial. When the play moved to the Fillmore in New York for the 1967-1968 theater season, it won two Obie Awards. 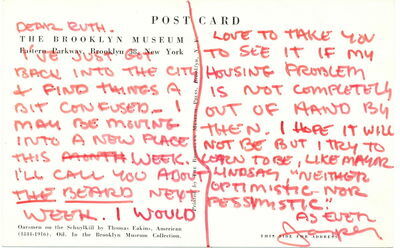 In the letter offered here postmarked 1968, Johns clearly refers to the New York performance. London: Oxford University Press, 1965. First Edition. Hard Cover. Near Fine binding/Very Good dust jacket. 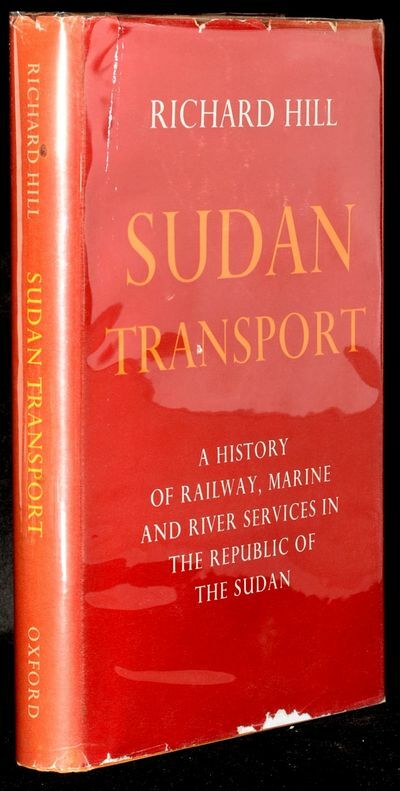 A complete and detailed overview of transportation in the Sudan, from the beginning of steam navigation in 1838 to the modern era of light railways. With 46 pages of photographic illustrations. 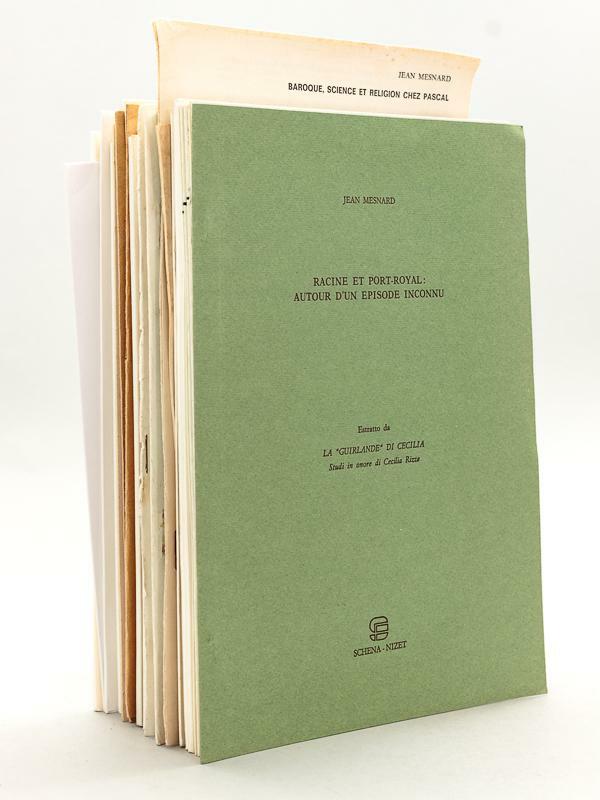 A clean First Edition copy without marks. 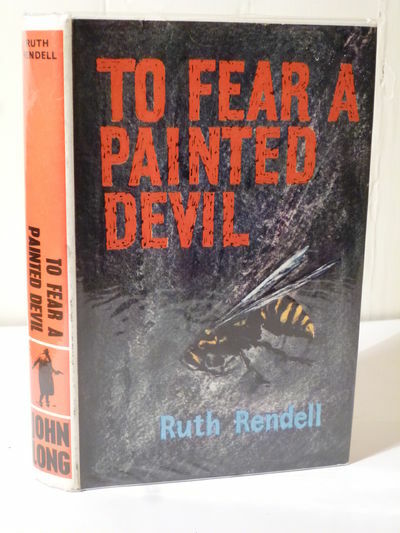 The dustjacket has shelfwear with minor loss to the edges; it has not been price-clipped and is now protected with a new mylar cover. Near Fine binding / Very Good dust jacket. New York: Tibor de Nagy Editions, 1965. Square 8vo. 30pp. Original printed wrappers. The New York poet Paul Violi's copy. Inscribed in an unknown hand "Happy Birthday" on the title, and in another hand "passed on to Paul Violi Christmas 1970. A. A." Some discoloration to wrappers at edges and spine, marginal stain on penultimate leaf. Genève : Institut et Musée Voltaire, 1965. First Edition. Fine cloth copies in an equally fine dust-wrapper. Particularly and surprisingly well-preserved; tight, bright, clean and especially sharp-cornered. Provenance; from the personal library of Professor Lloyd Austin, University of Manchester. Edition; Édition critique établie et annotée. Physical description; 50 volumes. Subjects; Rousseau, Jean-Jacques (1712-1778) - Correspondence. - Farblithographie, 1965, auf BFK Rives, signiert und nummeriert. 50:34,5 cm. Literatur: Czwiklitzer 166. - Nr. 3 von 50 Exx. Vor der Verwendung als Ausstellungsplakat. Wuppertal: Galerie Parnass, 1965. First edition. Loose Sheets. Very Good. Large single sheet art poster measuring approx. 25" wide x 20" tall. 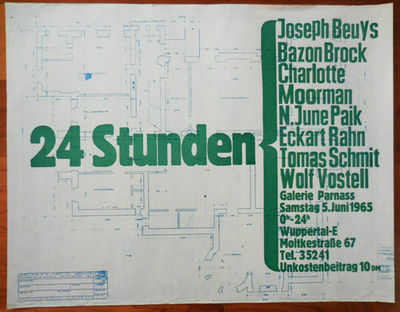 A poster for the 5 Juni 1965 exhbition entitled 24 Stunden (24 Hours) featuring Beuys, Paik, Vostell and others. A well documented show of happenings featuring many of the significant artists of the period. Poster has some light wrinkling at edges, but is clean and in overall very good condition. Tiny pinholes to corners. Not folded. This uncommon poster will be shipped in a sturdy tube. New York: Grove Press, 1965. First edition. Black cloth, faint offset on front endpapers, but a fine copy in price-clipped dust jacket, the orange spine lettering slightly faded. 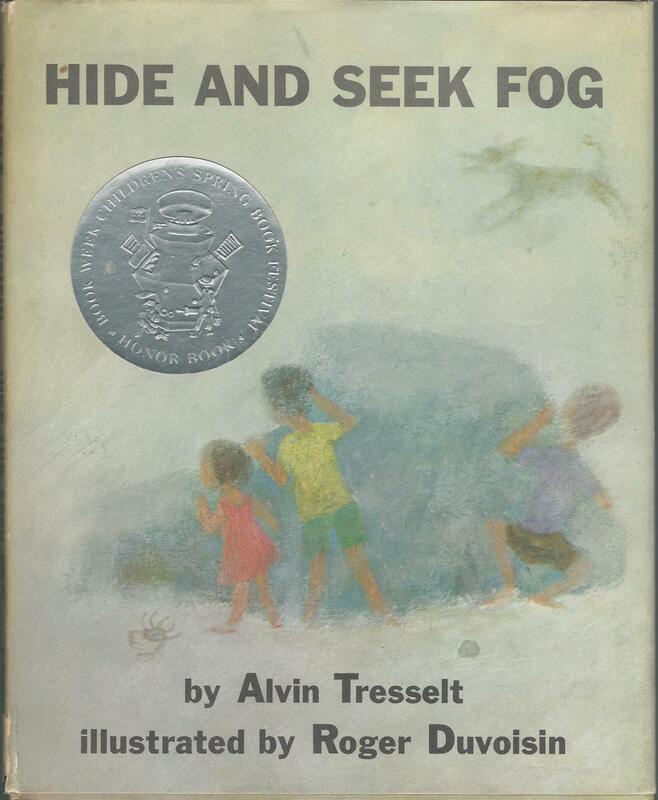 Inscribed by co-author Alex Haley in 1972. New York: W.W. Norton & Company Inc. , 1965. First edition. Hardcover. Very near Fine/Near Fine. 69 pp. Price of $4.50 on front flap of jacket. 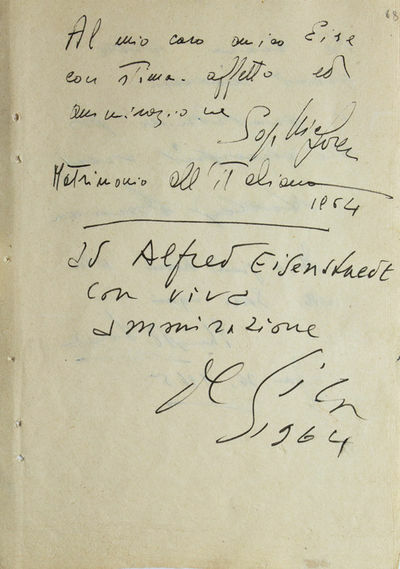 Signed by the author on the title page. Ahearn APG 001b. 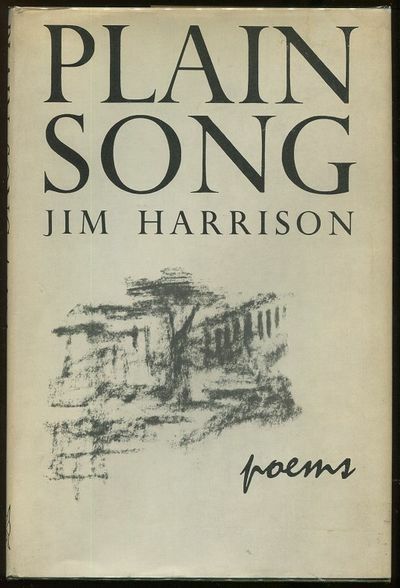 A handsome copy of Harrison's first published work, and his first collection of poetry. A Very near Fine book in a Near Fine dust jacket with two tiny spots of discoloration to the front panel and a few hints of edge wear. 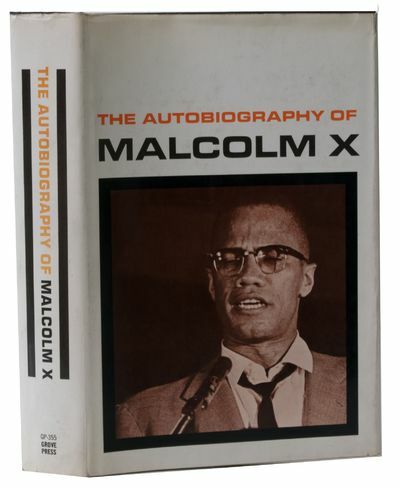 SIGNED, FIRST EDITION, FIRST PRINTING ("1965 " on copyright page, no additional dates or printings, "165" on lower front jacket flap) New York, David McKay Company, 1965. Signed and Dated ("December 2, 2012") in person by John Nichols. Photo of event laid in. A Fine book in a Very Fine dust jacket. Clean copy in purple cloth with bright spine gilt. Very slight bump on bottom of boards. Dust Jacket is Like New with no wear, no tears, not price clipped ($4.50). Text Clean, no marks. Binding Tight and Square. 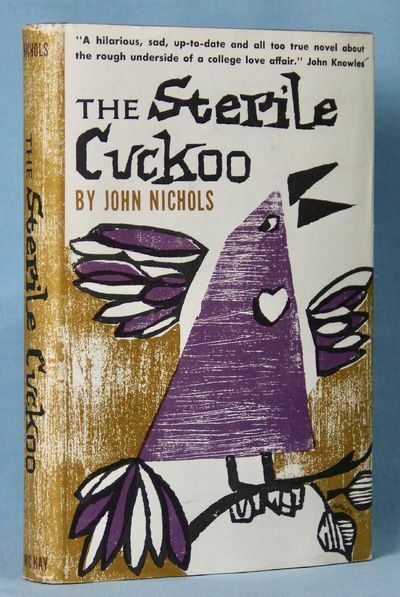 A Beautiful Signed First Edition of Nichol's First Novel and basis for the 1969 film. Books are Carefully Packed and Shipped Daily with Delivery Confirmation from Dry, Smoke-Free shop. Complete Satisfaction Guaranteed.